Is it possible that the official story of what happened on September 11th 2001 is an implausible theory unsubstantiated by the facts? Since the government's theory has been proven flawed and their investigation is widely recognized as being misleading and inadequate, shouldn't we objectively analyze and question it? Shouldn't all who work for peace, progress and advancing political process be informed? We have studied the questionable nature of the official version of what really happened to America on 9/11 for a few years. 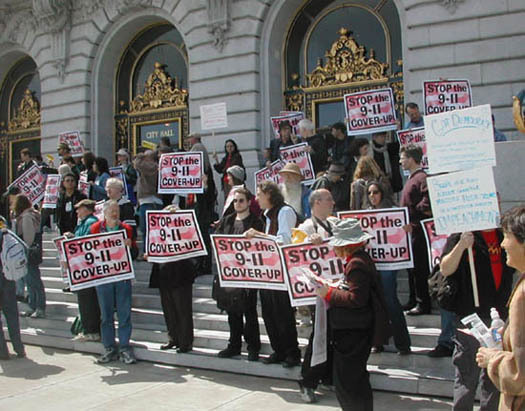 Based on our research from various sources, we are convinced that the U.S. government committed a vicious criminal act against its own citizens for the larger purpose of swaying us to support both domestic and foreign policies. 9/11 was Hitler's Reichstag fire of 1933 and FDR's Pearl Harbor masterfully coordinated to achieve the desired ends of an imperialistic role for America in the world, patriotic support at home and the erosion of the constitutional rights. If you consider yourself a rationalist, and assume that the U.S. government couldn't possibly have carried out the 9/11 attacks. Your ability to have such common sense should be applauded. However, the downside is that simple observation is a skill denied to rationalists, who are only allowed to see things that they deem to be rational. 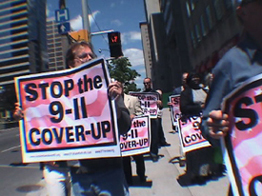 Even though you may not know why the U.S. government carried out the 9/11 attacks or the logistics of how they participated in the attacks does not mean that they did not play a role in the attacks. The truth is stranger than fiction: the planes you see below were probably flown by remote control to intercept the flight paths of AA11 and UA175. Is the flying mystery object a giant piece of debris or a radar-guided missile? 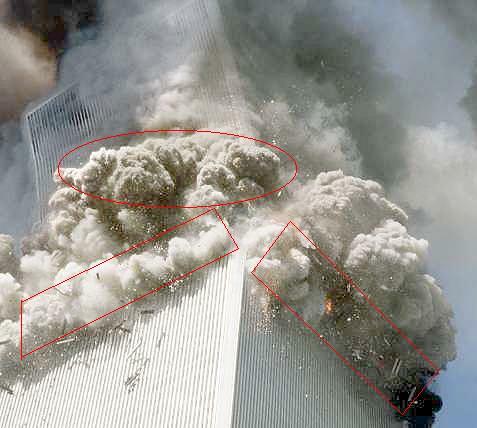 The collapse of the WTC Twin Towers was a controlled demolition. 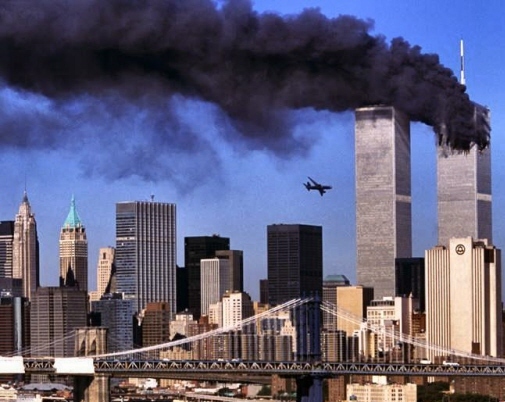 Our webpage is dedicated to the lives that were lost on September 11, 2001. It is recommended to be viewed at screen resolution 1024 X 768. 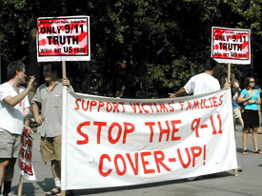 All materials on this non-commercial site are distributed without profit to anyone who have expressed interest in receiving the information related to 9-11 for research and educational purposes only.